More than simply one of avant-garde's most successful and influential filmmakers, Jean Cocteau ranked among the century's most diversely talented artists, also enjoying success as an accomplished poet, novelist, and illustrator. Cocteau was born July 5, 1889, in Maisons-Lafitte, France, and was raised primarily in Paris. Educated at the Lycee Condorcet, he became infatuated with another boy, Pierre Dargelos; their relationship was never consummated, and Pierre's ghost often haunted Cocteau's later adult work, his image embodying recurring themes of longing and solitude. Throughout his life, Cocteau craved acceptance and recognition, and seemed to be constantly striving to remain at the forefront of Parisian culture. He made his first splash while still a teen, reading his poetry at the Theatre Femina as a protégé of the actor Edouard de Max and becoming a darling of the intellectual set. By the middle of World War I, he was composing for the Ballets Russes, for Parade -- which featured decor by no less a figure than Pablo Picasso, and music from Erik Satie -- premiering in 1917. His subsequent wartime experiences later became the subject of a 1923 novel, Thomas l'imposteur. Upon returning from battle, Cocteau rose to greater renown as a writer with the 1919 publication of Le Potomak, a collection of prose, verse, and humorous drawings. A year later, his pantomime-ballet Le Boeuf Sur le Toit was staged, and another volume of poetry, Les Maries de la Tour Eiffel, appeared in 1921. Cocteau also delivered modernistic adaptations, Antigone (1922) and Romeo and Juliet (1924), mounted an original one-act play, Orphee (1926), and published a collection of critical essays. Anyone doubting his standing as a renaissance man could also peruse his many paintings, drawings, tapestries, and program notes for avant-garde composers. With financial assistance from the Vicomte de Noailles, in 1930 Cocteau began work on his first motion picture, the silent Le Sang d'un Poete. For him, poetry remained the greatest form of self-expression, and the film explored the relationship of the poet to death, depicted as a journey toward self-realization. It was a theme destined to weave through all of his work, as was the film's dreamlike, atmospheric visual style; upon its release, Le Sang d'un Poete was much admired by the likes of Charlie Chaplin, but with the advent of the sound era, privately funded amateur films were no longer a viable possibility, and Cocteau did not make another picture for 16 years. Instead, he returned to writing; his 1929 novel Les Enfants Terrible was well received, and he also found success as a dramatist. 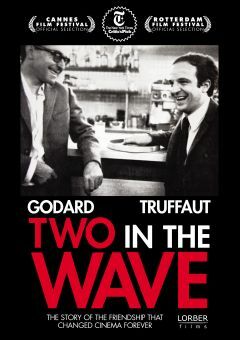 During the Occupation period, Cocteau's reputation took a serious blow when he was falsely accused of collaborating with the Germans; despite his prominence, the war era was no easier for him than for anyone else -- he received food packages from Jean-Pierre Aumont in California, and after taking ill was treated with American penicillin. Throughout the war, Cocteau did not abandon film. While financially incapable of directing his own work, he continued writing screenplays, beginning with Marcel L'Herbier's 1940 effort La Comedie du Bonheur and continuing with Serge de Poligny's Le Baron Fantome in 1943. More notable was his adaptation of the Tristan and Isolde legend for the Jean Delannoy film L'Eternel Retour. In 1944, he also wrote the dialogue for Robert Bresson's Les Dames du Bois de Boulogne. 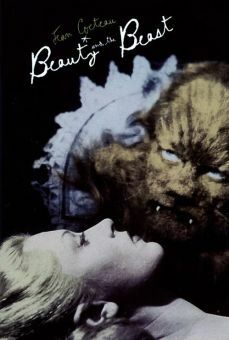 Finally, in 1946 Cocteau was finally able to helm his own film, a luminous adaptation of the fable La Belle et la Bete; made under extreme financial difficulty in the days following the French liberation, it starred his close friend, Jean Marais, who appeared in virtually all of his films, and was superbly shot by the great cinematographer Henri Alekan. Again, the film was widely praised across the world, and Cocteau then immediately set to work on his next project, 1947's L'Aigle a Deux Têtes, an adaptation of his own play. Also an adaptation of an earlier Cocteau drama was its follow-up, 1948's Les Parents Terribles, for which he then produced a 1950 companion piece, Les Enfants Terrible, directed by Jean-Pierre Melville. 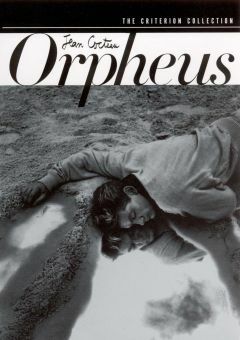 Cocteau's obsession with the life of the poet returned to the fore with the 1950 classic Orphée, a surreal adaptation of the Greek myth which won the Grand Prix at the Venice Film Festival. He then dropped from view for a decade, resurfacing in 1960 with Le Testament d'Orphée; in it Cocteau starred as a time-traveler, and the film in effect was a fable recounting his own life as an artist and included appearances from many of his friends, collaborators, and lovers. In 1955, he was installed in the Academie Francaise, and died in Milly-la-Foret, on October 11, 1963, at the age of 74.